Is it real or is it…? 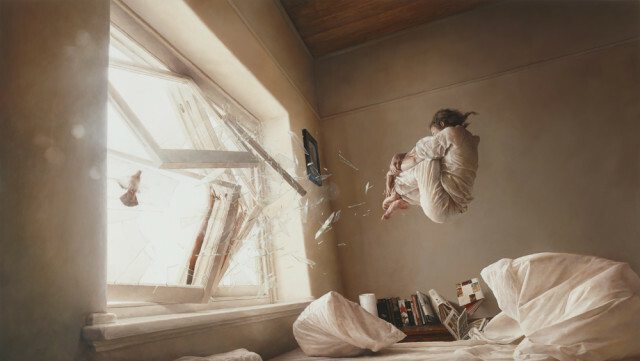 Australian artist Jeremy Geddes creates oil paintings that are astonishingly– dangerously– counterintuitive, at the same time that they’re astoundingly photo-realistic. Geddes’ describes his process in this 2011 interview with Empty Kingdom. As we look away then back again, we might spare a thought for Jean-François Lyotard; he died on this date in 1998. 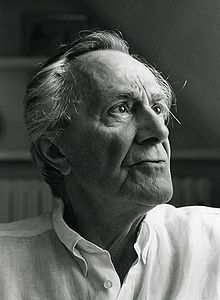 A co-founder (with Derrida, Châtelet, and Deleuze) of the Collège International de Philosophie– the bastion of Postmodernism– Lyotard was a philosopher, sociologist, and literary theorist. As a champion of “the sublime”– in Lyotard’s rehabilitation of an ancient aesthetic concept, the pleasurable anxiety that one experiences when confronting wild and threatening sights– he would surely have approved of Geddes’ work.